So many teachers are interested in their EAL learners’ cultural background. 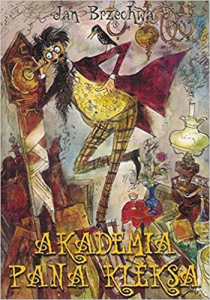 Most Polish children, who attended a Polish school, will know the legend of the Wawel dragon (Legenda o Smoku Wawelskim) or the Locomotive poem full of wonderful huffing, puffing, whistling and whizzing onomatopoeic sounds (Lokomotywa). Mr. Blott began to make the roast. To do this, he put one candle flame into a big roasting tin, and then put a tiny piece of meat on to the flame. He threw in two pieces of glass: one red and one white and sprinkled it all with the grey powder. When the meat was ready and the glasses got soft, he put the magnifying pump to the bottom of the tin and pressed it repeatedly. The roasting tin immediately filled itself to the brim with an appetizing roast beef, covered with beetroot and mashed potatoes. To finish it off, Mr. Kleks painted green dill on the potatoes”. I have taught a lesson about Mr. Blott in Y6. 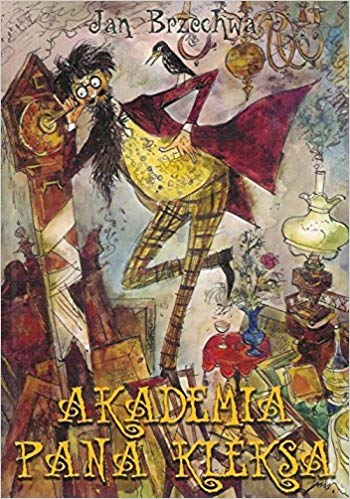 After the lesson a quiet Russian pupil came to me and asked: “Miss, is there a Russian translation of this book?” The best recommendation ever!! How does your Polish change when you are an immigrant? I have always remembered a Polish actress, who, after having spent a short time in America, appeared on the national Polish television. She spoke with a very prominent American accent, could not find Polish words, was hesitant and used a lot of pauses and non-lexical fillers like hmmm, ah, eh. Ok, she was an actress, so maybe she was acting? Or has she really forgotten her Polish? So when I heard of the “How does your Polish change when you are an immigrant” project, which is looking at what is happening to your first language when you use your additional language intensively and at what happens in your brain when you “forget” your mother tongue, I eagerly volunteered to participate. I have lived in the UK for 24 years, I use both English and Polish at work and at home. I regularly visit Poland, I read literature in Polish and in English, and I think I have a good command of both languages. 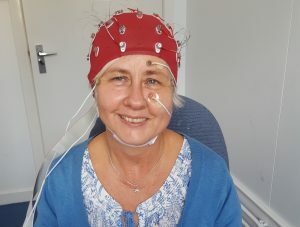 The testing of my brain took place in Edinburgh (an extra bonus as I had chosen to go there during the Edinburgh Fringe Festival, which was fabulous). Agata, a member of the project team, made me feel very welcome and at ease. She explained every task in advance, answered all my questions and even offered me a choice of the colour of the very fetching EEG head gear with attached electrodes for tracking my brain’s electric activity. My eye movement was also measured when I named objects in both languages, read sentences in Polish and assessed their grammatical correctness, listened to the recorded sentences and pointed to the mentioned objects. My phonological awareness was also assessed. Two visits are required with the first one straight after my short holiday in Poland – it will be interesting to know if this immersion in Polish had any impact on my results. The second visit will need to be at least two months after staying in the UK and not being “contaminated” by living in the Polish-speaking environment. The project is led by Dr. Zofia Wodniecka-Chlipalska of the Jagiellonian University in Krakow, Poland with the assistance of School of Philosophy, Psychology and Language Sciences University of Edinburgh. I am really looking forward to my second visit later in the year. Can visual notes be an aid to EAL Learners?